The Alpha Alignment is a hands-on process which instantly unifies the brain hemispheres, balances the energies within the nerve system and muscles and releases stress held within the mind/body. In this state of Alignment you begin to function better on levels: physical, mental, emotional and spiritual, placing you in a more favourable position to heal yourself. Alpha Alignment is not about, and does not involve, Secularism, Atheism, Agnosticism, Cultism, Occultism, Magnetic Healing, Massage Therapy, Chiropractic, Therapeutic Manipulation or Medicine. Alpha Alignments do not presume to heal, treat or cure diseases. It helps us to help ourselves through our Life Force energy. Alpha Alignment offers a unique holistic approach to our physical, mental and/or emotional aspects. Any changes that occur originate entirely from within ourselves. Our life force has an innate intelligence of its own. Only we know, at an unconscious level, what is best for us. Alpha Alignment is a process whereby the blockages and/or the restrictions in the flow of Life Energy are temporarily removed, allowing that energy to flow more freely to all parts of the body. As a result, you regain the well-being, joy and zest for life that you had as a child. The alignment process is accomplished with you lying in your back with your head at the high end of the alignment table. The process involves several gentle physical movements and is accomplished in less than 30 seconds. It is generally very pleasant. Alignments are done to tiny babies as well as the elderly. Though painless, there is occasionally a soft popping sound, such as is made when popping the knuckles of your fingers. The sound is irrelevant; it means nothing to the process. Generally, the more you need the alignment procedure, the more apt you are to feel it. The rule is: the more blocked and tight you are, the more you need it and feel it. And you will feel it where you need it most. It’s like opening a water faucet: energy flows where it needs to go. This does not necessarily mean discomfort. Simply be as relaxed as you can, your practitioner will be as gentle as possible. There is always a period of corrective change that everyone must pass through. When a person is out of balance and headed down, it’s not all sunshine and roses. Similarly, it’s not all sunshine and roses for a person getting back into alignment and heading up… there must be a time of transition. The alignment process does not directly relieve muscular tension. Rather, its immediate effect is the integration of the subtle Life forces within the body-mind-spirit continuum. When the alignment is given, the hemispheres of the brain synchronize, stress circuits shut down and a more proper balance (homeostasis) is established. This allows energy to be used more effectively. Bi-laterally weak muscle groups instantly regain greater tonus, while their contracted counterparts (their poplar opposites) begin to relax. As strength returns to weak muscles and opposing tight muscles are forced to relax, some slight discomfort may be experienced. A severely contracted muscle (or one that has been tight for so long) resists change. Because of this, you may feel more tense after an alignment. Occasionally, you may become aware that this corrective change process is taking place. Do not be concerned. In most cases, the discomfort will only last a short time. Your muscular system is righting itself in a healthy, powerful way. The discomfort of this tight muscle relaxation process can be eased by taking a hot shower and letting the water play across those muscle groups in transition. This works. One caution: do not use wet heat for more than 4 to 6 minutes. When tension levels in the neck drop, the pressure of the blood in the head is dramatically changed. It’s like having squeezed a water hose, causing the water to shoot out with force and then relaxing the pressure, allowing the water to flow normally. When this happens in a chronically tense neck, the force of the blood going into the head, drops. Blood vessels that were having difficulty brining blood out of the head (due to excessive pressure) are now able to adapt to the more normal changes. If neck tension has been there for some time or the tension has been excessive, the adaptation time is usually no more than a few minutes. However, Sometimes the adaptation phase may take as long as a day or two. This is also a normal, natural corrective change. After your alignment, rest for one hour. This rest allows the body-mind-spirit integration to take hold. It is a healing time for your body and you should reserve your energy for healing rather than for motion. Just as you rest when you feel ill, you must give your body rest to heal its imbalances. In the first six or seven hours after an alignment, maximum healing is taking place. After this time, the major beneficial effects of the process gradually diminish as tensions return. This is due to cellular memory, time, the stress of today’s world and the fact that a person has been out of alignment for years. During the initial stages of Alignment care, a type of stabilization occurs. It is critical that during this time alignment be taken enough that excessive tension, selective weakness and mechanical imbalance do not return. 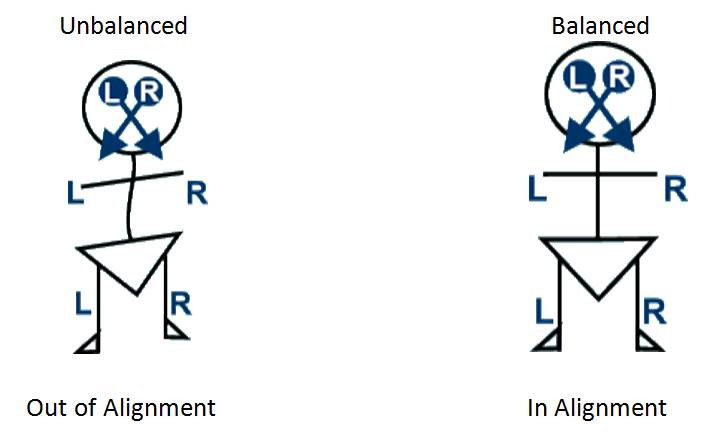 You are now balanced, strong and less tense. You are using energy more efficiently than before. Things may seem brighter, you may feel lengthened and refreshed. You are structurally more alive, awake and aware than you were before the alignment. After your alignment, the hemispheres of the brain are all functional and can balance energy throughout the body. This promotes overall healing, which occurs organ-by-organ and cell-by-cell according to their priorities in the survival scheme. This is not symptom relief, but with time, as cells continue to heal, symptoms eventually disappear. You are in that most favourable circumstance for your own inner Wisdom to do what it knows to do, wants to do and should have done, but did not because it was keeping you on “emergency standby” when there was no emergency. You are now tapped into your own natural healing resource. This is important because your body is a self-correcting mechanism that works in a priority way. When you are “in alignment” the physical priority is optimal; function: a healing, creative mode. You are now integrating the right and left hemispheres of the brain. The longer we can maintain, encourage and nurture this integration, the easier it will be for you to play your own game, not let outside influences affect you so easily and be inner-actualized rather than outer-reactive. All of these attributes are critical to adequately cope in this stressful time and culture. You are now more in tune with your own inner Source of power, inspiration and wisdom.